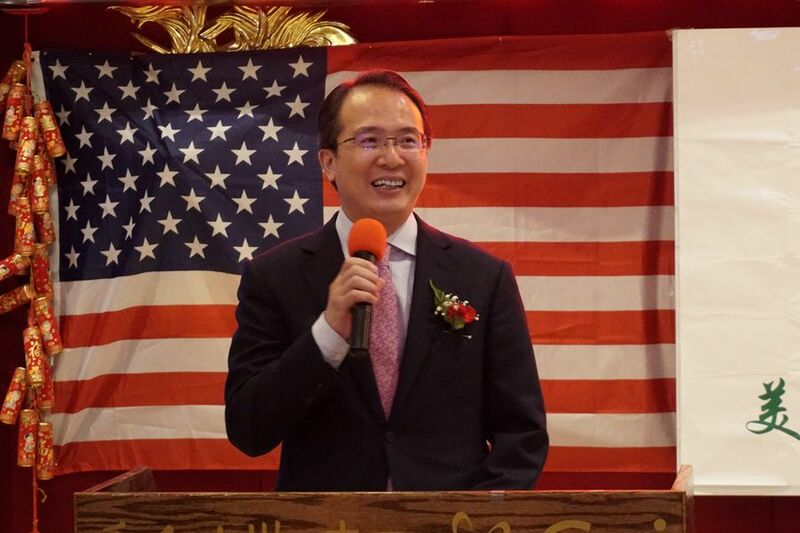 On April 15, 2018, Consul General Hong Lei attended the 2018 Chinese New Year Gala held by the Chicago Guangzhou Association in China Town. Over 300 people including members of the Guangzhou Association and local overseas Chinese associations attended the event. Consul General Hong Lei conveyed Spring Festival wishes to members of the Guangzhou Association and other local overseas Chinese associations. Consul General Hong Lei said that the Chicago Guangzhou Association has long-lasting affection for their motherland and hometown. On China’s National Day, they always hung up Chinese and American flags in the China Town as an expression of their love to the motherland and support to China-US friendship. They hold summer barbecues and Spring Festival galas every year, which enrich the life of local overseas Chinese communities and promote the Chinese culture. 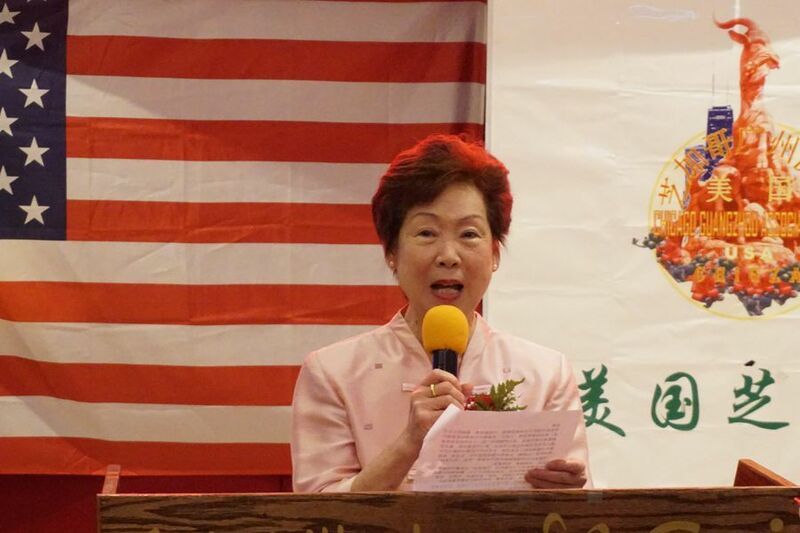 They have also dedicated themselves to maintaining the solidarity of Chicago overseas Chinese communities. The red lanterns they hang up during the 2018 Chinese New Year added more festivity and Chinese elements to the Chinatown. The association has always provided good service to its members, and cared for the young and the old by helping the old enjoy their life and the young grow happily and healthily. Consul General Hong Lei wishes the Guangzhou Association a lot of success in the new year, and hopes that they can continue to play an active role in facilitating China’s development and peaceful reunification, serving the overseas Chinese community, promoting traditional Chinese culture as well as harmony and prosperity, and enhancing China-US friendship. President Jiemei Lao of the Guangzhou Association said that the Association has made great achievements since its founding 13 years ago. The Association will continue to follow its guidelines, support the development of their hometown, promote traditional Chinese culture and facilitate China-US friendship. The Association will adhere to the principles of “unity, pragmatism, self-improvement and forward-looking” to better serve the fellow Guangzhou people, take good care of and educate the younger generation, increase service programs for the seniors, and help young community leaders to grow.